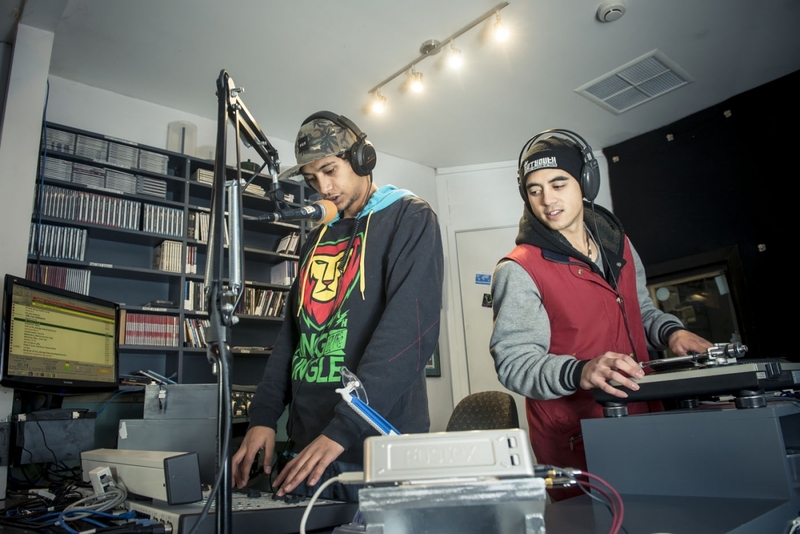 Justyn and Kobi of Real Talk Radio, one of the programmes to benefit from a MTLT’s $2000 grant in 2016 to assist minority groups on Access Radio. Other programmes deal with mental health issues and storytelling. Real Talk Radio is the only Arrow FM programme that thanks its funder every week in improvised freestyle rap.